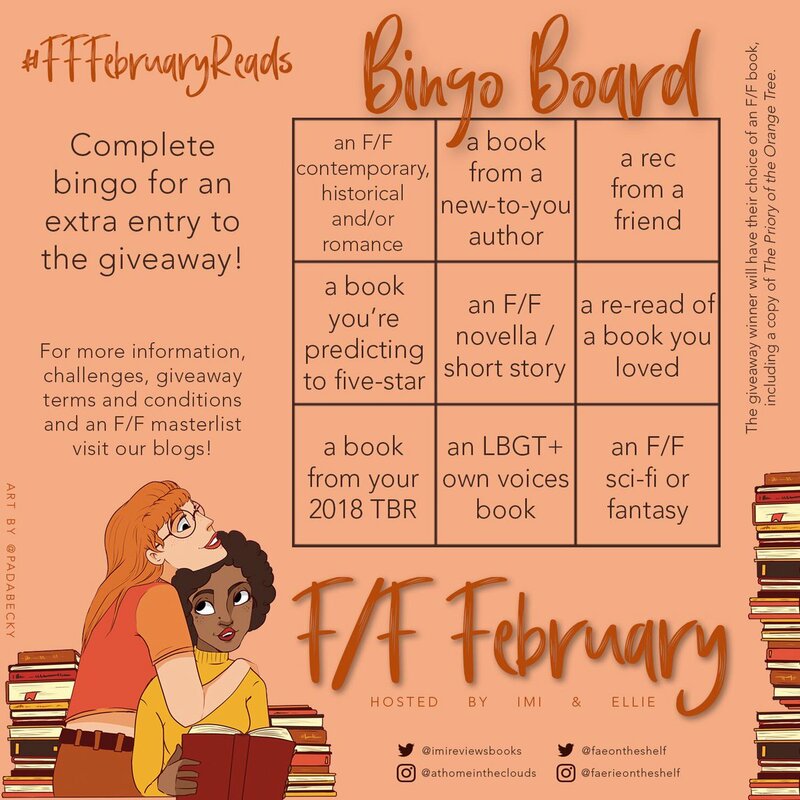 If you follow me on twitter you might have already seen me screeching about these two read-a-thons coming up next month but just in case you've missed it: there are two amazing readathons happening in February and both are dedicated solely to F/F or sapphic literature! As soon as I saw them I, obviously, knew I would be taking part in both. The fact that it's my birthday month is the cherry on top of the rainbow cake! 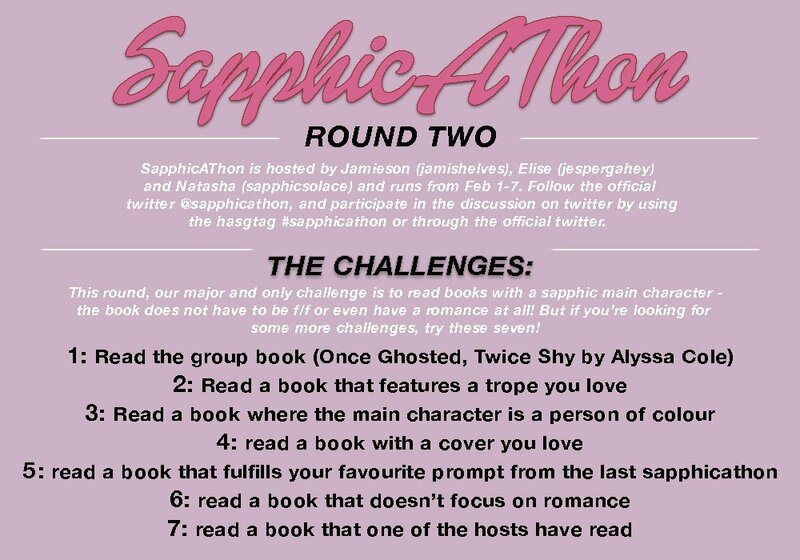 There are challenges for each one and Sapphicathon is running for the first week while FF February Reads is, you guessed it, for the whole month of February. 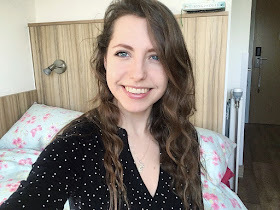 Sapphicathon is based around women who like other women, but the main pairing doesn't have to be f/f - for instance a bisexual protagonist falling for a man would still count towards this challenge but it wouldn't count for FF February Reads because that's all about the main pairing being between two women. As I'm taking part in both of these, all my recs have a f/f pairing as the central one. If you want to take part in the challenges then I've pasted the images throughout this post (full credit to the Sapphicathon and FF February teams) but if you just want to read a bunch of queer lit with no restrictions - that's what I'm going to do - then that's still awesome and I hope you find one or two books from this rec list that capture your interest. I'll be uploading my actual TBR next week but I thought I'd throw a whole bunch of recs out into the world today! 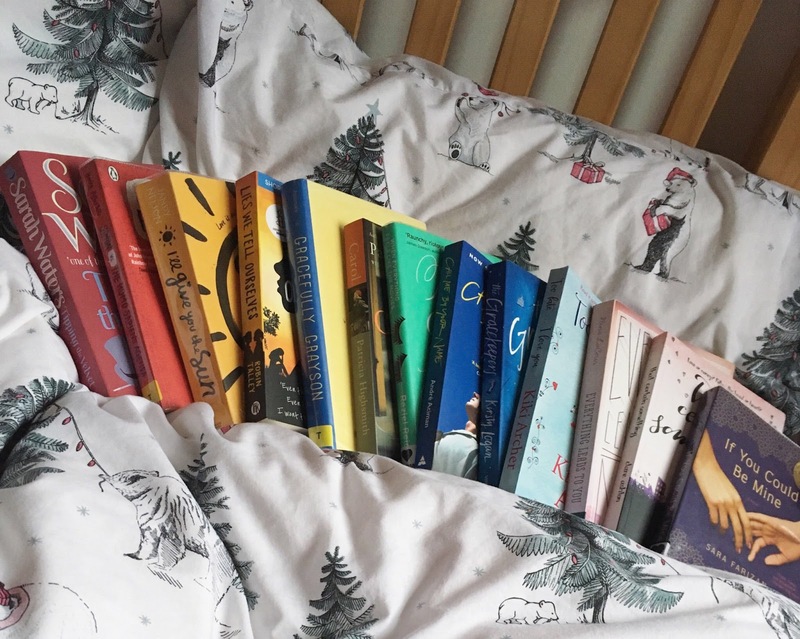 And just to clarify that I have read all of these books myself; there is tons of other F/F out there but I feel uncomfortable "recommending" a book that I have never read. My TBR on the other hand will include at least a couple of books that I haven't read yet so feel free to check back on Monday to see that! As for a rec from a friend? Hey, I'm Eloise. I like sheep, the colour purple and drinking enough tea to float a ship. 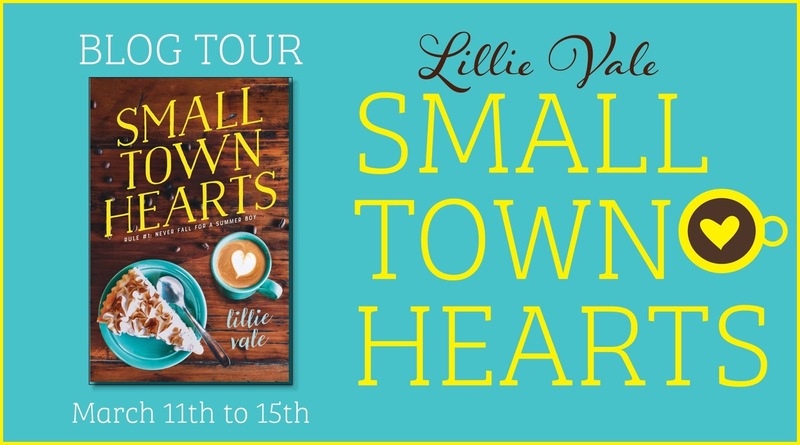 We're friends now so if you like the sound of any of these books then they count for that square!